On June 7, Calcasieu Parish Sheriff’s Office received a complaint in reference to a theft from a 92 year old man. The investigation revealed the elderly victim’s caretaker, Amanda L. Bebee, 35, 20031 Dewolf Road, Iowa, had stolen approximately 13 gold and silver coins from a safe located inside the victim’s residence. When questioned by detectives, Bebee confirmed she had taken the coins and sold them to a local coin shop. 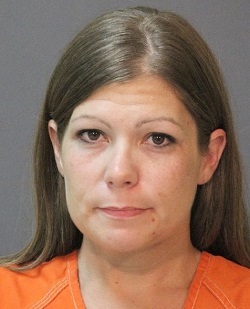 She was arrested on July 13 and booked into the Calcasieu Correctional Center and charged with theft $5,000 to $25,000. She was released the next day on a $10,000 bond set by Judge Robert Wyatt. CPSO Detective Michael Conner is the lead investigator on this case.